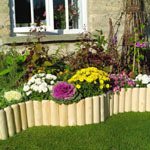 These tree stakes are round and pressure treated with a non-toxic preservative for extra long life. This tree stake is made from FSC timber. 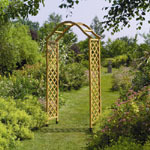 These can be used for staking trees and garden fencing. These extra thick tree stakes are round and pressure treated with a non-toxic preservative for extra long life. This tree stake is made from FSC timber. 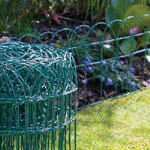 These can be used for staking trees and garden fencing. These hard wood square tree stakes. This tree stake is made from FSC timber. These can be used for staking trees and garden fencing. These heavy duty tree ties are made from flexible black plastic are ideal for newly planted trees and shrubs to tree stakes.